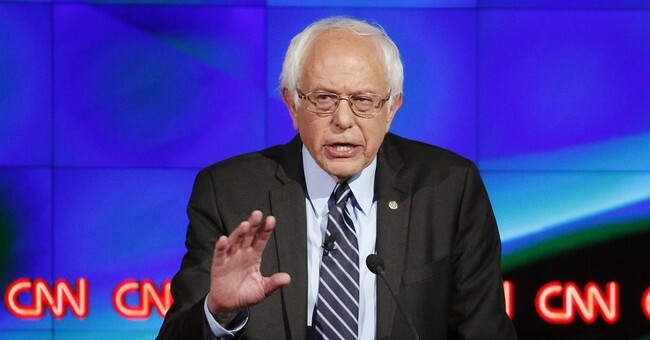 WHEN BERNIE SANDERS was asked during CNN's Democratic presidential debate how a self-proclaimed socialist could hope to be elected to the White House, he gave the answer he usually gives: Socialism has been wonderful for the countries of Scandinavia, and America should emulate their example. "We should look to countries like Denmark, like Sweden and Norway, and learn from what they have accomplished for their working people," Sanders said. When the moderator turned to Hillary Clinton, she agreed that America has to "save capitalism from itself" and that, yes, Scandinavia is great. "I love Denmark," declared Clinton. It was the only time in the debate a candidate uttered the verb "love." Liberals have had a crush on Scandinavia for decades. "It is a country whose very name has become a synonym for a materialist paradise," observed Time magazine in a 1976 story on Sweden. "Its citizens enjoy one of the world's highest living standards. . . . Neither ill-health, unemployment nor old age pose the terror of financial hardship. [Sweden's] cradle-to-grave benefits are unmatched in any other free society outside Scandinavia." In 2010, a National Public Radio story marveled at the way "Denmark Thrives Despite High Taxes." The small Nordic nation, said NPR, "seems to violate the laws of the economic universe," improbably balancing low poverty and unemployment rates with stratospheric taxes that were among the world's highest. Such paeans may inspire Clinton's love and Sanders's faith in America's socialist future. As with most urban legends, however, the reality of Scandinavia's welfare-state utopia doesn't match the hype. To begin with, explains Swedish scholar Nima Sanandaji, the affluence and cultural norms upon which Scandinavia's social-democratic policies rest are not the product of socialism. In Scandinavian Unexceptionalism, a penetrating new book published by the Institute of Economic Affairs, Sanandaji shows that the Nordic nations' prosperity "developed during periods characterized by free-market policies, low or moderate taxes, and limited state involvement in the economy." For example, Sweden was a poor nation for most of the 19th century (which helps explain the great wave of Swedish emigration to the United States in the 1800s). That began to change as Stockholm, starting around 1870, turned to free-enterprise reforms. Robust capitalism replaced the formerly agrarian system, and Sweden grew rich. "Property rights, free markets, and the rule of law combined with large numbers of well-educated engineers and entrepreneurs," Sanandaji writes. The result was an environment in which Swedes experienced "an unprecedented period of sustained and rapid economic development." In fact, between 1870 and 1936 Sweden had the highest growth rate in the industrialized world. Scandinavia's hard-left turn didn't come about until much later. It was in the late 1960s and early 1970s that taxes soared, welfare payments expanded, and entrepreneurship was discouraged. But what emerged wasn't heaven on earth. That 1976 story in Time, for example, went on to report that Sweden found itself struggling with crime, drug addiction, welfare dependency, and a plague of red tape. Successful Swedes — most famously, Ingmar Bergman — were fleeing the country to avoid its killing taxes. "Growing numbers are plagued by a persistent, gnawing question: Is their Utopia going sour?" Sweden's world-beating growth rate dried up. In 1975, it had been the 4th-wealthiest nation on earth (as measured by GDP per capita); by 1993, it had dropped to 14th. By then, Swedes had begun to regard their experiment with socialism as, in Sanandaji's phrase, "a colossal failure." Denmark has come to a similar conclusion. Its lavish subsidies are being rolled back amid sharp concerns about welfare abuse and an eroding work ethic. In the last general election, Danes replaced a left-leaning government with one tilted to the right. Loving Denmark doesn't mean loving big-government welfarism. The real key to Scandinavia's unique successes isn't socialism, it's culture. Social trust and cohesion, a broad egalitarian ethic, a strong emphasis on work and responsibility, commitment to the rule of law — these are healthy attributes of a Nordic culture that was ingrained over centuries. In the region's small and homogeneous countries (overwhelmingly white, Protestant, and native-born), those norms took deep root. The good outcomes and high living standards they produced antedated the socialist nostrums of the 1970s. Scandinavia's quality of life didn't spring from leftist policies. It survived them. Sanandaji makes the acute observation that when Scandinavian emigrants left for the United States, those cultural attributes went with them and produced the same good effects. Scandinavian-Americans have higher incomes and lower poverty rates than the US average. Indeed, Danish-Americans economically outperform Danes still living in Denmark, as do Swedish-Americans compared with Swedes and Finnish-Americans compared with Finns. Scandinavian culture has been a blessing for native Scandinavians — and even more of one for their cousins across the ocean. No, Scandinavia doesn't "violate the laws of the economic universe." It confirms them. With free markets and healthy values, almost any society will thrive. All socialism does is make things worse.